One of my favourite projects thus far in 2013 has to be my Aranami shawl. 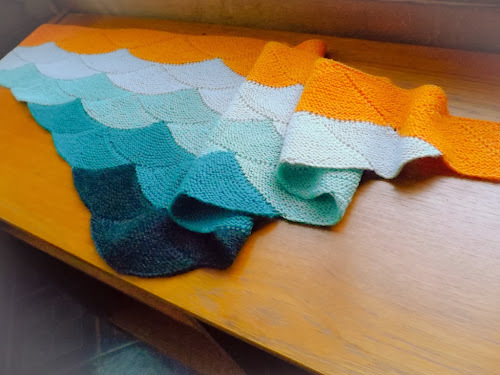 The pattern, by Olga Buraya-Kefelian, is a modular shawl that is meant to look like stormy waves. 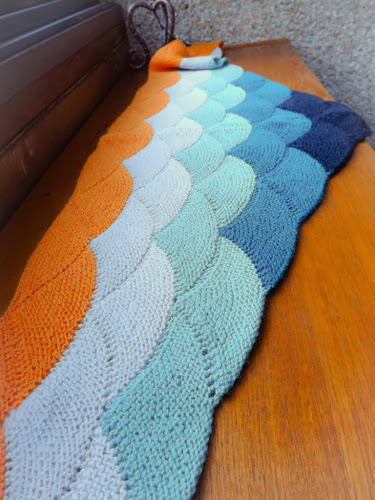 I chose a sunset and ocean colour scheme in Knit Picks Palette. The colours I used, from bottom to top, are Midnight heather, Seafaring, Sagebrush, Mist, and Kumquat Heather. I had lots of each left over, with the exception of the Kumquat, which required every inch of the ball. 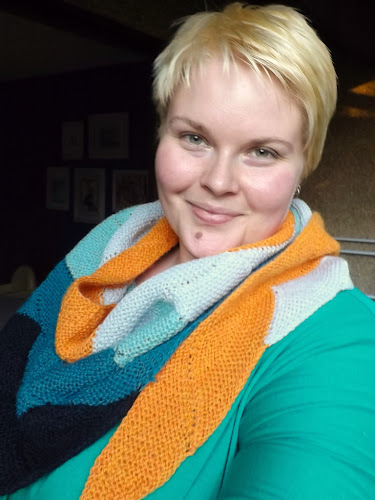 My only warning to knitters hoping to make this shawl is that there are SO MANY ENDS to weave in, and no real way to avoid creating them. Just do it. It's worth it. It's pretty stinking cold out these days, so I am looking forward to wearing it! I think it will look smashing with a black coat.